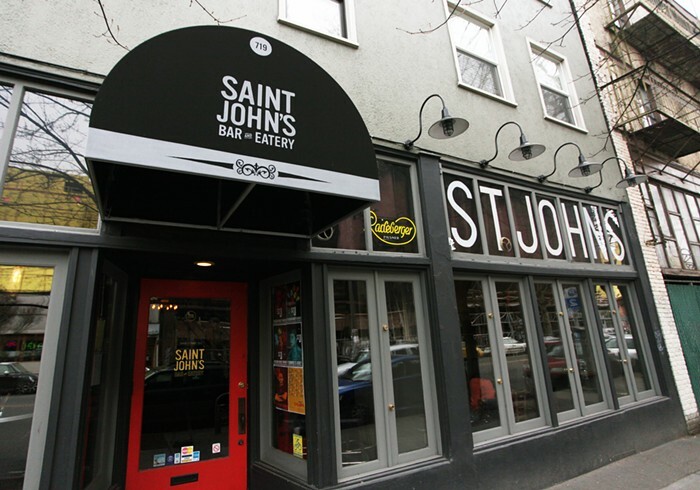 Saint John’s Bar and Eatery—on Capitol Hill, where the Rosebud used to be—is brought to you by Val Kiossovski (who’s in Kultur Shock), Billy Gould (Faith No More), and Michael Lee (The Young Evils, Mal de Mer), who also own lower Queen Anne’s Solo. Joe Randazzo, who’s cooked at Solo for the last couple years, is in the kitchen. Our own Charles Mudede would like you to know that the back patio is still the same: "The old tree, the shaky tables, the rocks, the wooden steps that all used to be a part of the Rosebud's magic are still here for the first really sunny day." Happy Hour Mon-Fri 2-6 pm ($1 off all beer, $2 Rainier, $3 sangria, $4 well drinks, food specials).